Posted in New Content Added	and tagged with nationalist obituaries, historic newspapers, laois nationalist, kildare nationalist, carlow nationalist, nationalist	by Andrew Martin. Posted in New Content Added	and tagged with Gordon Brewster, Irish Newspaper History, Herald Archive, Irish Herald, Herald, Evening Herald, Irish Independent	by Andrew Martin. 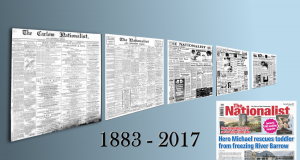 The Munster Express is one of Ireland's leading regional newspapers founded in 1860 by the Fisher family. 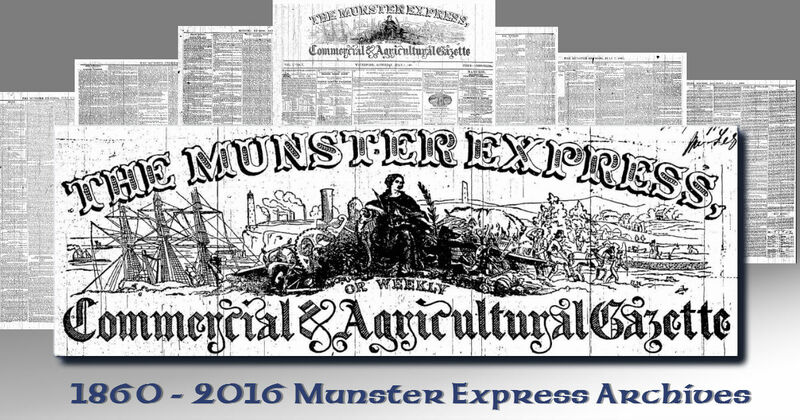 In 1880 the Munster Express was bought by Mr. Edward Walsh and is still owned and run by the Walsh Family today. You can now enjoy more of the Munster Express through the Irish Newspaper Archives gateway! 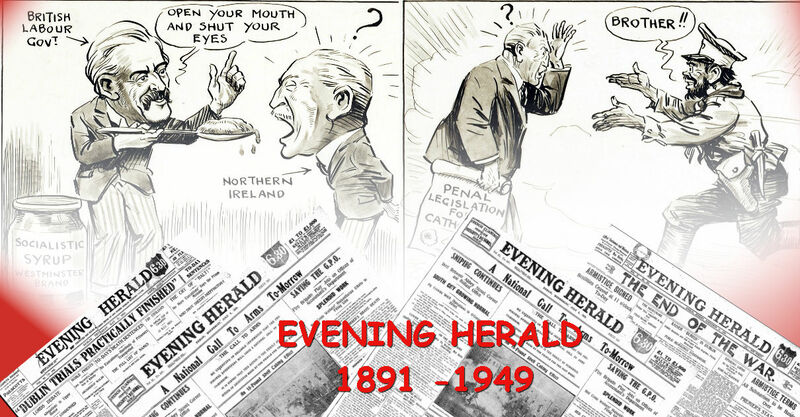 We have just uploaded another 69 years of newspaper content to the archive. Full list below. To celebrate this content update we have made the first Edition of the newspaper available to download for FREE!! Posted in New Content Added	and tagged with Waterford News, Waterford Newspapers, Munster Express Archives, Munster Express, irish newspapers, regional newspaper, newspaper archives	by Andrew Martin. 7 new Kerry Titles added to Archives! Posted in New Content Added	and tagged with Tralee Mercury, Raymond’s Kerry HeraldTralee Chronicle & Killarney Echo, Kerry Weekly Reporter, Kerry Sentinel, Kerry Examiner, Chute’s Western Herald, Kerry	by Phillip.